New Solutions, where high skills and ability to integrate knowledge from all sources is the need. This New Solution mode is also the opportunity for the few – companies, employers and workers – to gain high wages and high rewards in terms of growth and profitability. These two modes are also leaving behind a widening gap – a chasm – and if you are trapped in this middle, you are part of the growing middle class (of companies, workers and professionals) where the floor is collapsing under your feet. Of course if you are the investor – the rich – you make money off both these economic modes and hence the rich getting richer, the poor getting poorer and the middle left clueless. This is not the issue for the left vs. right or progressives vs. conservatives. WE ARE ALL IN THE SAME BOAT, with cracks developing in the middle. We have described this evolving economic model as the Binary Economy and how to get a handle on this through a set of Transformational Skills in our New Book. The draft of the Q &A with Dr. Subramanian is presented below. 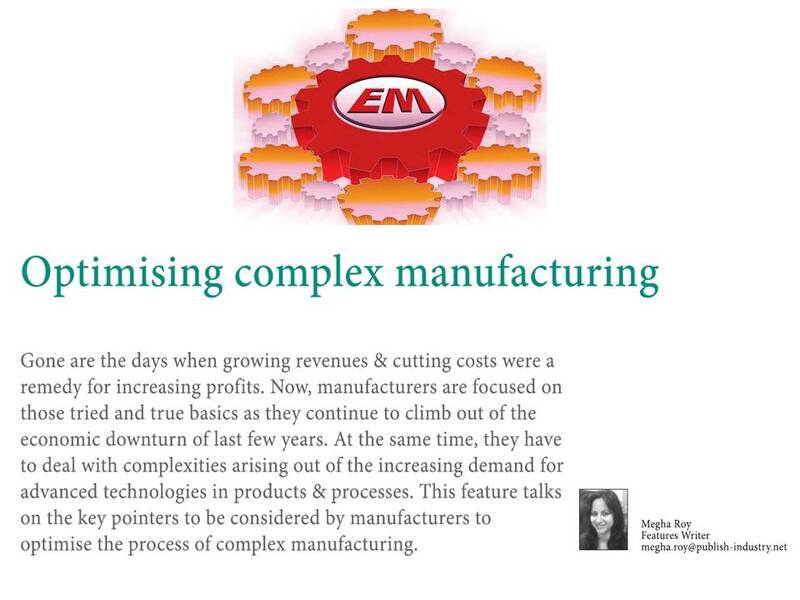 For more details and for any services we can help you with in your manufacturing and innovation efforts Contact US. What are the various ways through which one can take advantage of advanced technologies and at the same time avoid complexity in manufacturing processes? Worldwide there is a plateau – point of diminishing return – being reached in cost reduction and continuous improvement. Supply Chain, Lean and such practices are slowly running out of steam. What is needed is a step change or radical departure in terms of new processes leading to new products. Companies like Apple are setting this new vision by introducing totally new products every six months, backed up by manufacturing processes that allow them to offer over ten million units within the first quarter of product release. In India, manufacturing seems to be facing the same head wind as well. Instead of toll manufacturing based on what is already well established, manufacturers are required to design new products and adapt new processes to produce them. The complexities in such manufacturing increase largely because of a lack of knowledge and inability to perceive the value added through the physical processes imbedded in manufacturing. Education and training of the work force on the knowledge and methods to exploit value through physical processes across the entire supply chain would be required as the first step. Developing an eco-system of suppliers and manufacturers working as a team for such value addition through the physical processes in manufacturing could be another step. Currently, manufacturing enterprises have been increasingly focusing on optimising performance, productivity and asset management. What are your recommendations for such approaches? It is imperative that these steps are pursued relentlessly. But, are they happening in the real world and what is their effectiveness? Consider this case for example: A senior manufacturing executive wanted to improve line productivity and asset utilization. Expert resource was used to achieve cycle time reduction in the bottle neck operation which resulted in throughput increase by about 40%. No additional investment was required. Higher productivity and better asset utilization was demonstrated. But these results could not be sustained after a short period of two weeks. The exercise revealed that the process know-how in this plant was very limited. The process was restored to the original – longer – cycle time due to a perceived fear the machine tool may wear out! This situation clearly illustrates the need for better education of the engineers and managers already in the work force. Incentives are required for changing their attitude to gain the most value out of the assets used in the manufacturing operations. There is also a need to get over the “frog in the well” mind set. Even the most efficient manufacturing operations in India have tremendous scope for improvement in quality, productivity and cost. I can personally attest to the fact that the cycle times and machine capacity used for precision grinding processes are well below the industrial practice in the manufacturing plants in USA and Germany. Also many of the advanced tooling available for several processes may not be accessible inside of India due to very small usage and the supply chain issues faced in handling such small volume of consumables. How to overcome the challenges of complexities arising out of collaborative manufacturing, outsourcing, innovation compulsion, flexibility and risk management? Complexity in any situation is a matter of two issues: (a) lack of clear goals agreed upon by everyone and (b) lack of specific knowledge required for achieving such goals. Consider for example a manufacturer who sees a new opportunity to produce a new component to meet the requirements of an export customer or a large new market inside of India. How does it translate into new opportunities for every one required in the development of the solution? The manufacturer may require collaboration with machine tool builders, raw material supplier and several tooling manufacturers. These are all the stake holders in the new solution. Unless the benefits for all these stake holders are agreed upon and clarified upfront, the risk will be too high and the collaboration may be limited or constrained. To avoid this pitfall we encourage the senior managers to actively promote the concept of Emotional Intelligence for Innovation. It implies that you seek out collaboration with a mind-set “I seek your help for my success, but I am also committed to make sure that you succeed as well in the end”. When the second half of the above equation is ignored or left unspecified, then the eco-system does not evolve. Leaving the benefit sharing to the people at lower levels, who have little influence, vision or authority also increases the complexities in collaboration many fold. Even with good intent, knowledge specific to the solution is vital. A supplier who undertakes a new project may not have adequate knowledge to arrive at the final solution. It may require several iterations. Are these iterations carried out before the solution is approved? Frequently such learning steps are postponed for reasons of cost or lack of collaborative mind-set between the supplier and the manufacturer. Such learning steps may not be scientific with due emphasis on in-process data and their analysis. Documentation of such results and a system approach for problem solving may be missing. Lack of data driven problem solving also leads to trial and error where each step is seen as new, even though the same path might have been crossed many times. All of these result in a partially cooked solution implemented on the shop floor. When the knowledge and communication methods are not institutionalized, mobility and changes in the people involved leads to complexity in the solution development effort. There are efforts in India to foster common knowledge pool through collaboration across the universities and the industry. Trade associations and government bodies such as the Department of Science and Technology also have a role to bring the industries and research institutions into a consortium. Recently collaboration between a CEO with long term vision, a research team from one of the IITs together with our worldwide expertise has resulted in some unique results. While the nature and magnitude of the collaboration is small, it shows the potential for new a vision for “Make in India”! 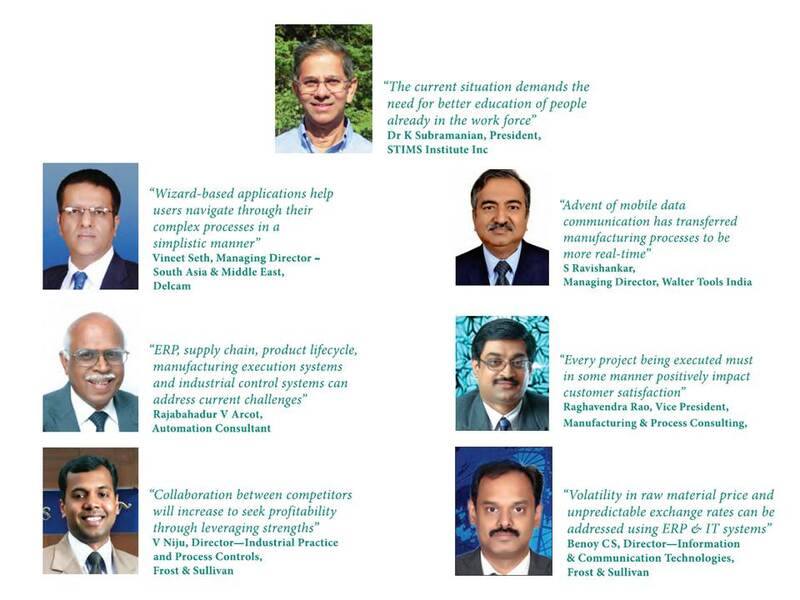 Can you brief on the major manufacturing trends which can be expected in the next 5 years? Thanks to higher level of automation in the shop floor, in the years to come there will be less competitive advantage due to low cost labour. This will put manufacturers in India competing for the export markets at a serious dis-advantage. They need to overcome this challenge through advanced manufacturing solutions, higher productivity in current manufacturing and introduction of unique new manufacturing solutions. On the other hand the prospects for a growing demand in the domestic market will provide added opportunities for suppliers and manufacturers for this market segment. Collaboration between like-minded companies for mutual and long term growth and shared knowledge base will be the key to success here. Previous Previous post: What is common between Bernie Sanders and Donald Trump?